Stream and cop the free download of “The Bloom” which is featured on Drew Imagination’s free mixtape “Sorry I Mixed Taped Over Your Songs”. 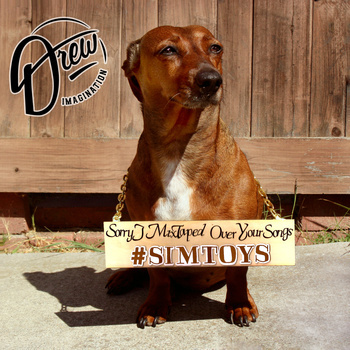 “Drew Imagination brings you the first single “The Bloom” (ft. Cannon) off his new mixtape “Sorry I Mix Taped Over Your Songs”. Composed of revolutionary vignettes rapped over a selection of songs not quite hip-hop, ”Sorry I Mix Taped Over Your Songs” evokes a new direction for the Honolulu/Oakland artist. After appearances at the San Diego County Fair, LA County Fair and Unfuck the World Day, the challenges of being an independent artist fueled the gradual progression of outreach. In looking to build with artists, community leaders and musicians alike, this mix tape hopes to encapsulate the passion behind Drew Imagination’s music and activism. We are living in myopic times and the counter culture of resistance is dismissed as futile or delusional- fight back with knowledge!